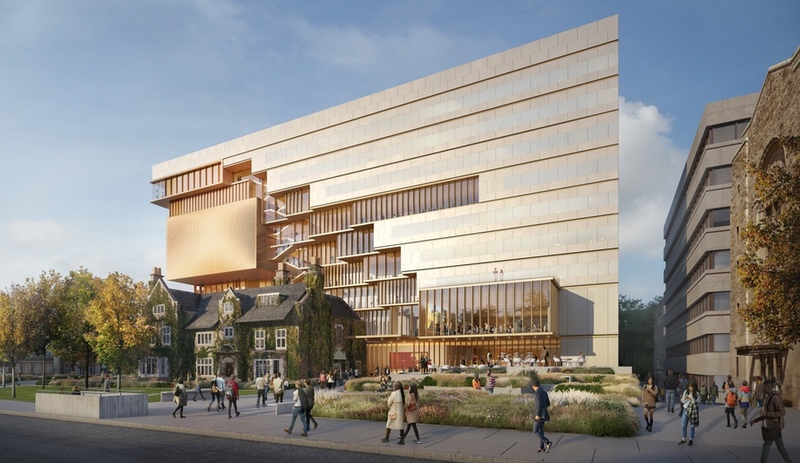 Perhaps the biggest expansion and restoration project ever undertaken by a Canadian university, One Spadina – the future home of the University of Toronto’s architecture school – is shaping up to be a skillful blend of past and future. 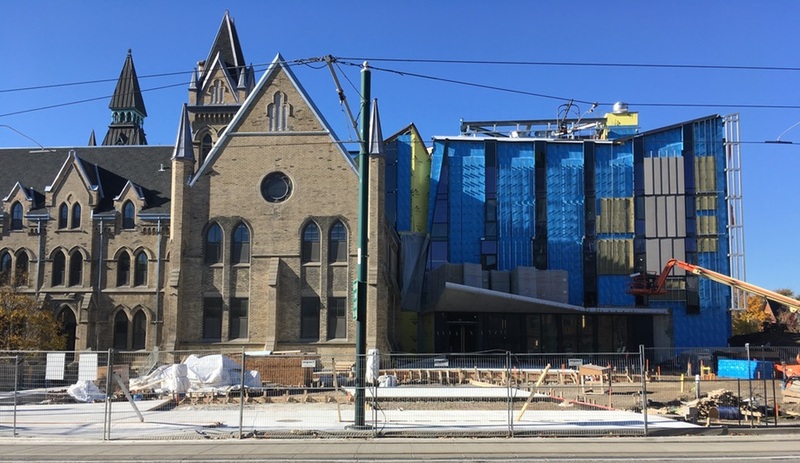 Even before Boston firm NADAAA came on board to expand Toronto’s historic One Spadina Crescent into a state-of-the-art architecture school, complete with new libraries and fabrication labs, the structure was already a icon. 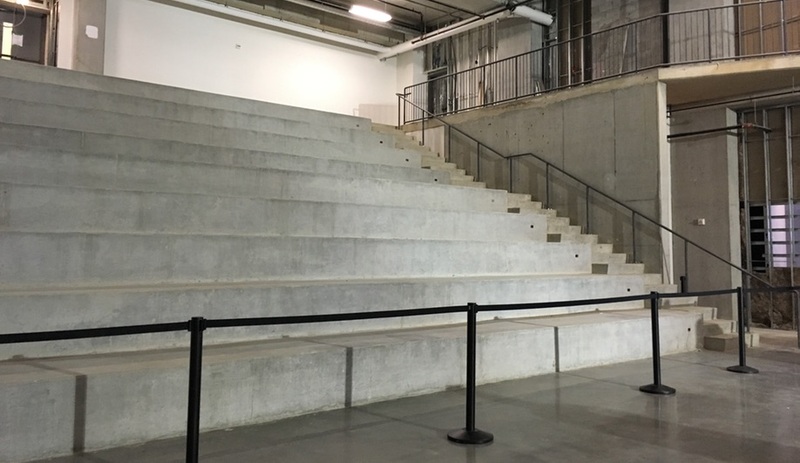 Sited between the lanes of one of the city’s busiest thoroughfares, like a boulder parting a river, the building’s location alone makes it impossible to ignore. Add to that its striking facade, with steep-sided dormers and pinnacles in a Georgian-era Gothic Revival style rarely found in North America, and it’s no wonder the building has been an object of fascination for years. NADAAA’s scheme to expand the building leaves One Spadina’s familiar yellow-brick facade virtually untouched (in fact, following decades of hard use, the revamp will leave the original structure’s condition much improved). NADAAA’s additions, at least the ones that make up phase one, are tucked neatly at the back, and although they’re stylistically modern, they’re proportioned to pair with the existing structure. To visitors circulating through the interior, the transition from old to new will feel seamless, at least programmatically. 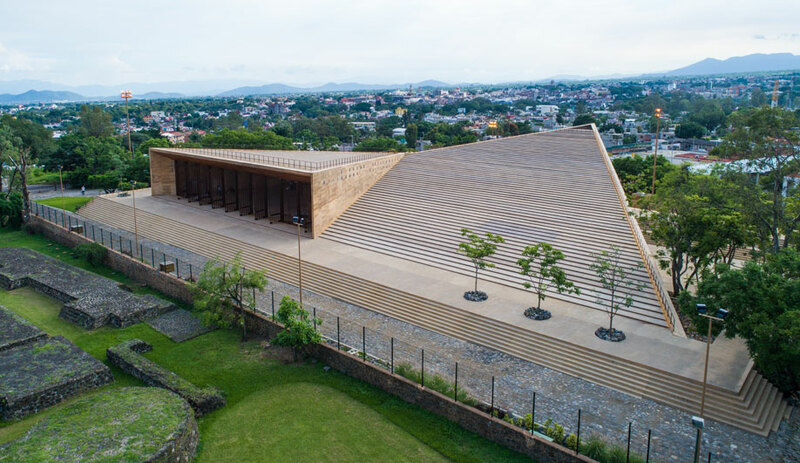 While the shift from wooden floors and Gothic-arched windows to concrete floors and rectangular windows signals the threshold between the original structure to the new one, the flow of traffic and the logic underlying the relationships between spaces make the two feel like the result of a single plan. 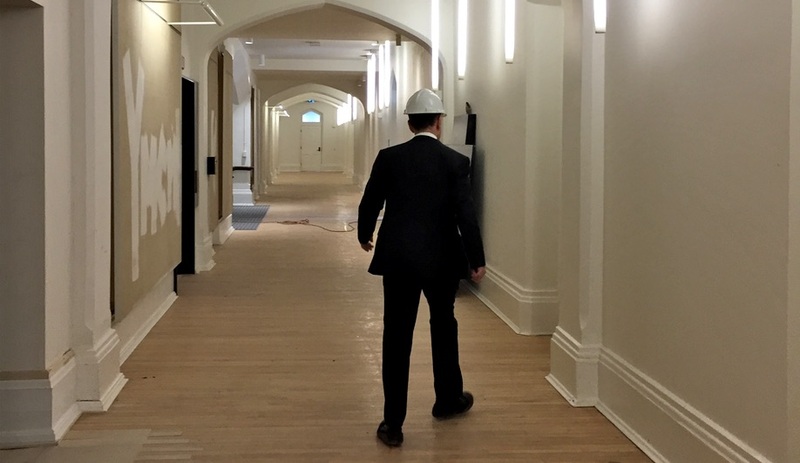 Much of this can be attributed to the way One Spadina’s pre-existing rooms have been reconfigured with the addition of new hallways and walls, but enough of the original features remain that a sense of the historical structure is kept intact. 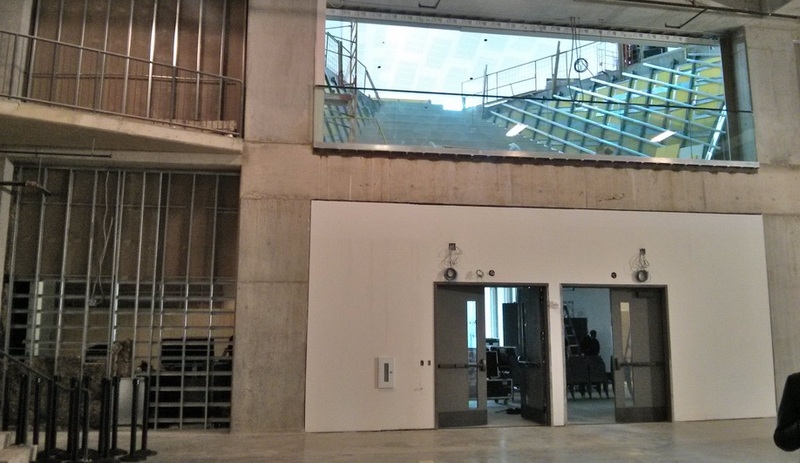 It’s this third-storey hall that really shows off the scale of the expansion to best effect. 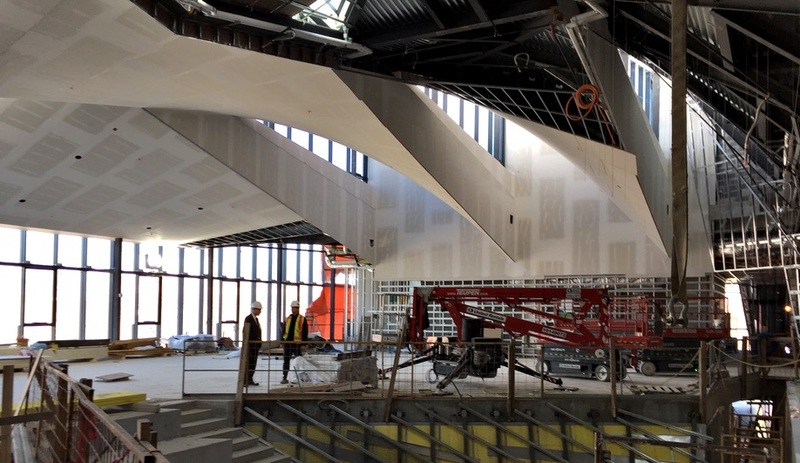 Along the south wall, a single massive I-beam supports the ceiling, allowing the entire space – the future home of the grad studios – to remain column-free. 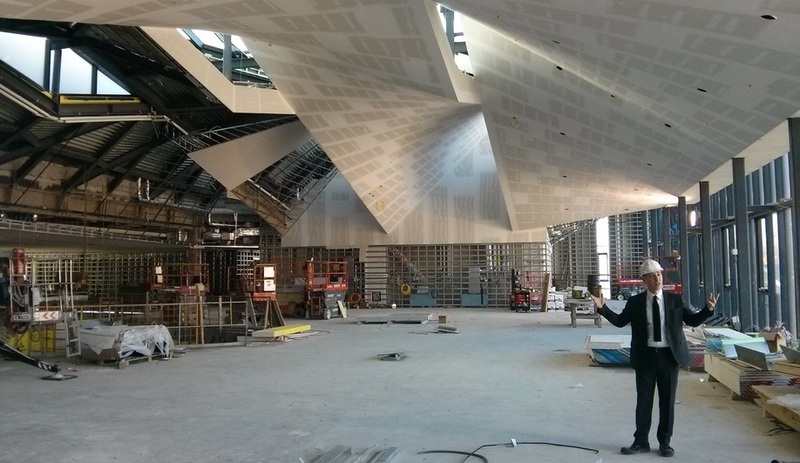 Above, a sculptural ceiling of twisted planes is punctuated by skylights. 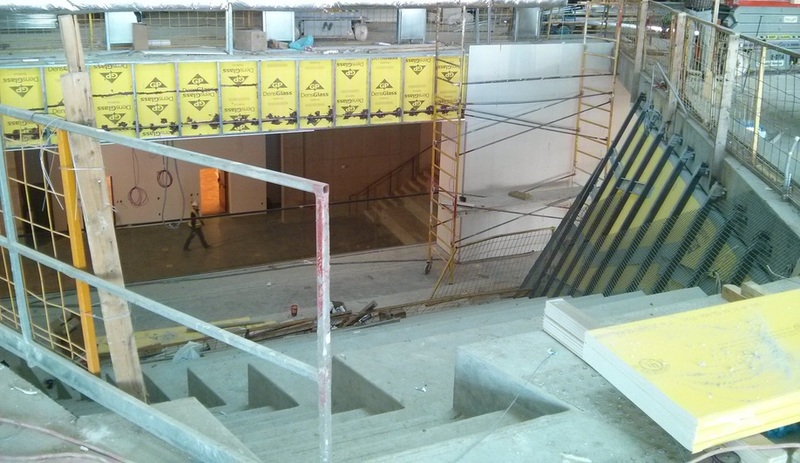 In all, the project will bring 2,800 square metres of studio space to the faculty’s roughly 1,200 students. 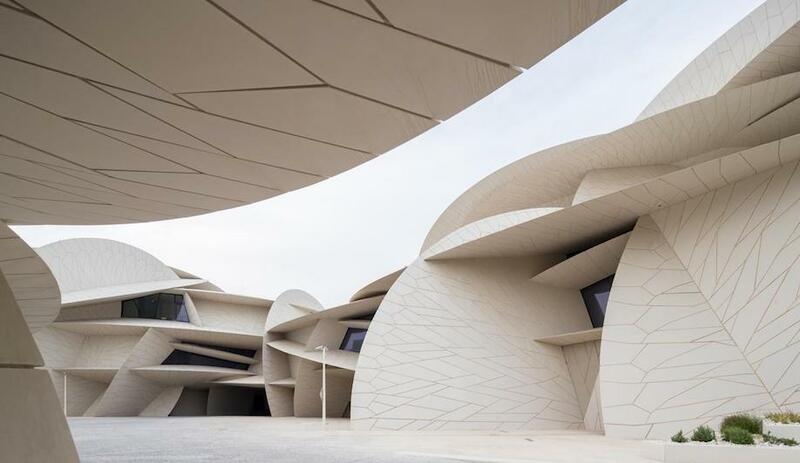 With a total pricetag of $80 million for both restoration and expansion, the project is a major one, but calculated at its cost per square metre, the cost is moderate for a signature project of such ambition. 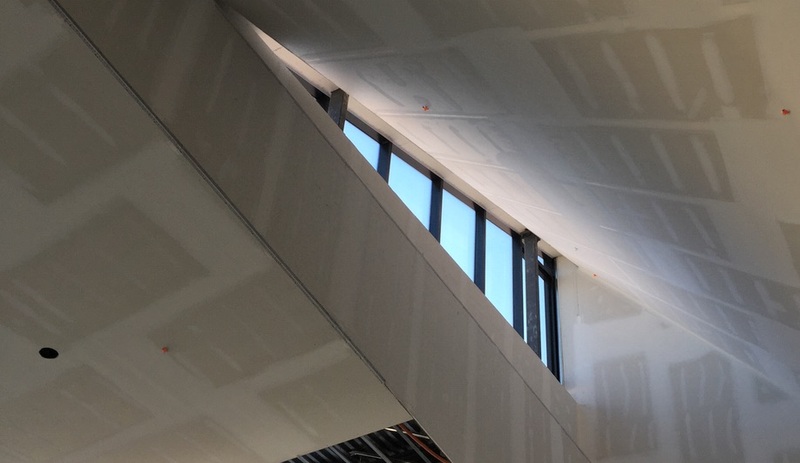 This sculptural ceiling brings daylight – ideal for students working on models or presenting charrettes – even into the building’s core. The ceiling’s curves, though dramatic, are gentle enough that the torquing of the sheet-rock wall finish is within its tolerance. 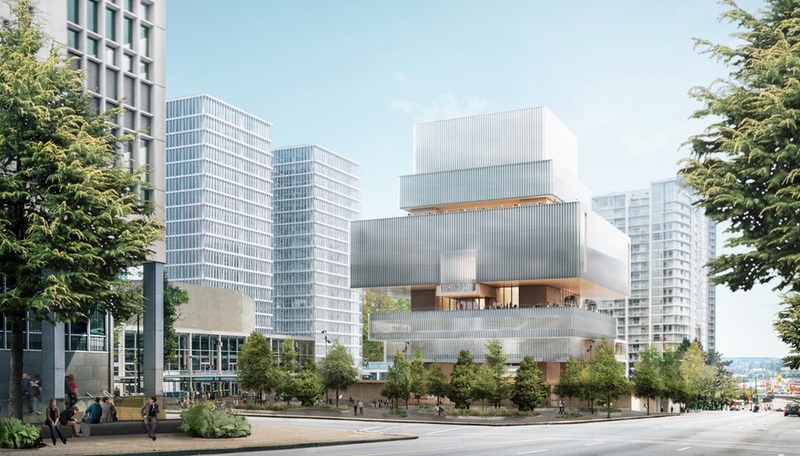 Floor-to-ceiling windows along the north wall bring in still more daylight; to the south, the floor gives way to the tiered seating that looks through the aperture down onto the first-floor gallery. 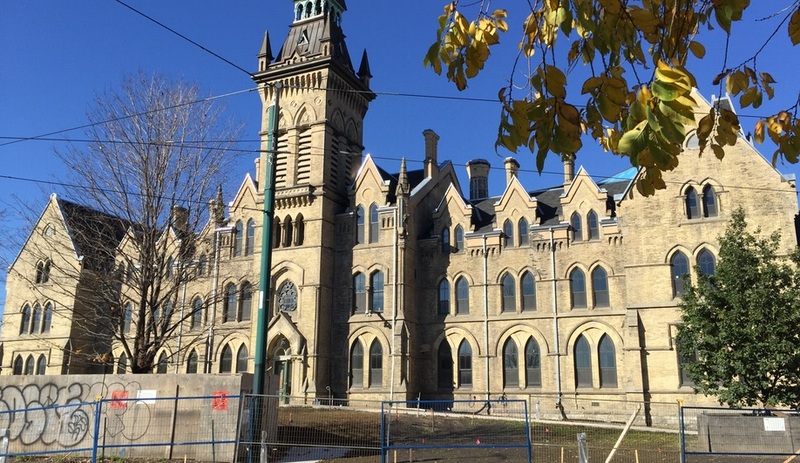 Although One Spadina is still very much a construction site, it’s already possible to imagine its halls and studios as they will soon look, completed – not just with fixtures and finishes in place, but occupied by throngs of students that, for the first time, have a place to come together under a single roof.